Home » Free » Game Sticker » Thanks for 2 Years of LINE GAME! Thanks for 2 Years of LINE GAME! http://www.line-stickers.com/ – Thanks for 2 Years of LINE GAME! Line Sticker | LINE GAME is celebrating itʹs second anniversary! 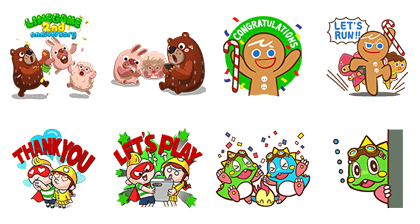 Friend the LINE GAME official account to get this special commemorative sticker set for free! Available till December 17, 2014. Name LINE Sticker: Thanks for 2 Years of LINE GAME!